My book We Lived in Heaven has recently been republished. We are offering this book on sale. Now and through the month of January, you can order this book directly from me at sarah@sarahhinze.com for $10 each or two copies for $18, including shipping to anywhere in the USA. If you would like it autographed, let me know. 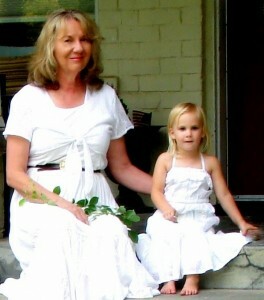 Please send me an e-mail or visit my website at www.SarahHinze.com for ordering details. We Lived in Heaven is also available on Kindle at Amazon.com. We Lived in Heaven has been loved by thousands of people throughout the world. So far, it has been translated into Portuguese and German. Additionally, I have been privileged to speak on many radio and TV shows about unborn children. Parents tell me their children and grandchildren like my lovely granddaughter Eden, pictured to the right, love having these touching stories read to them. 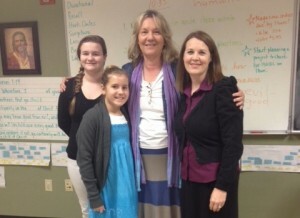 Recently I was invited to speak again at Clear View Academy in Mesa. It was a wonderful opportunity to share the message of We Lived in Heaven with the students and faculty. They invite people with a positive message from all walks of life to their school once a week for “Spirit Day”. The guest is asked to speak from their heart and share their passion. I spoke of using some of the many true accounts I have collected to speak in Washington D.C. during a congressional caucus meeting concerning the sanctity of life. It was such a privilege to teach on Capitol Hill that we are children of God! Within a few days of returning to Arizona, I was invited to speak to a group of legislators concerning a bill that would legalize abortion of unborn children clear through the ninth month in the womb. My remarks changed enough votes, according to the congresswoman who invited me to speak, and the bill was voted down in Arizona (at least until the courts legalized late term abortion with no vote from the people). I really enjoyed the chance to interact with the students. I hope they felt the message I wanted most to emphasize, that one person can make a difference if they follow the direction that God is giving them. Towards the end of my talk I played a song by Janice Kapp Perry and Senator Orrin Hatch called, Alleluia! Alleluia! The words of the song remind us that we are soldiers in the army of God and we need to commit to do His work protecting lives. We must stand for truth and right! During the song I marched around the auditorium (Yes, I know, but you had to be there! ), shaking hands with students to illustrate the idea of “Onward and upward! We can do this!” I was so happy to have both the young people and the faculty express enthusiasm and humor at my dramatics.